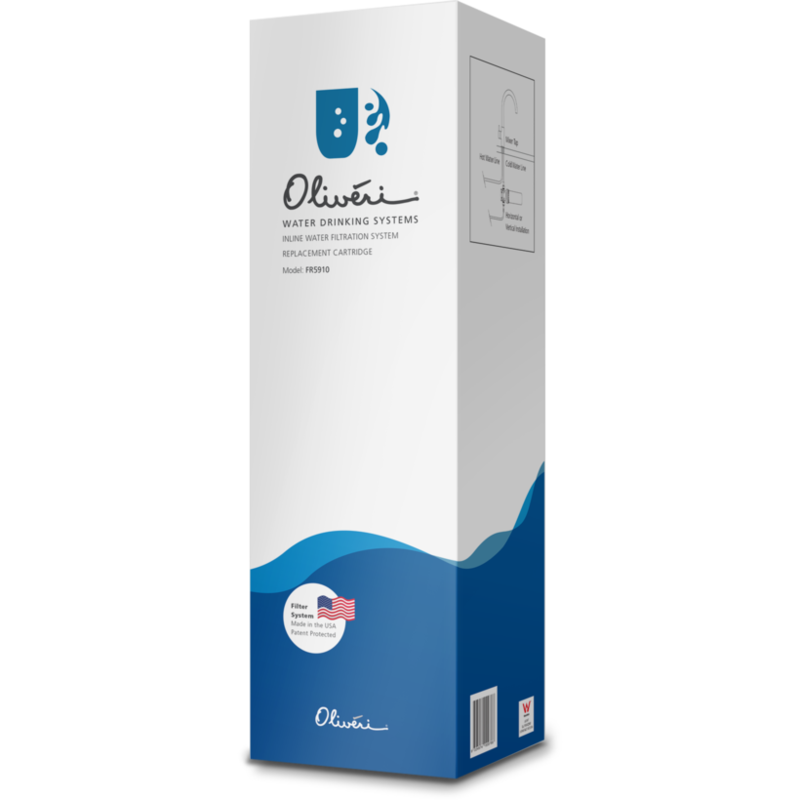 Order your replacement Oliveri Inline Water Filtration cartridge here and receive free shipping. Enjoy clean, fresh drinking water direct from your tap with the Oliveri Inline Water Filtration system. Using the latest carbon block technology, the Inline system finely filters water through your tap ensuring excellent quality drinking water. The filter will maintain healthy minerals, salts and fluoride while removing chlorine, dirt, rust and bad tastes from your water supply. Please Note: Replacement cartridge only. Filtration system not included. This cartridge is suited to the Inline Water Filtration System for standard water use. This product only ships to Australia.